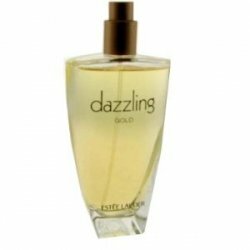 Dazzling Gold comes in EAU DE PARFUM SPRAY 2.5 oz UNBOXED Launched by the design house of Estee Lauder in 1998, DAZZLING GOLD PERFUME is classified as a refreshing, flowery fragrance. 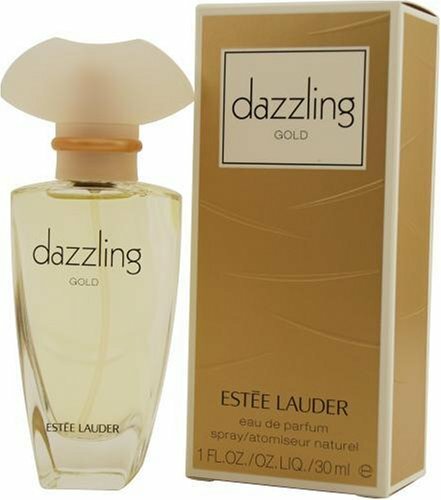 This feminine scent possesses a blend of fig, orange blossom, orchid, amber, vanilla and sandalwood. It is recommended for office wear. An opulent warm floral with notes of exotic orchid, lily, plumeria, vanilla and sandalwood. 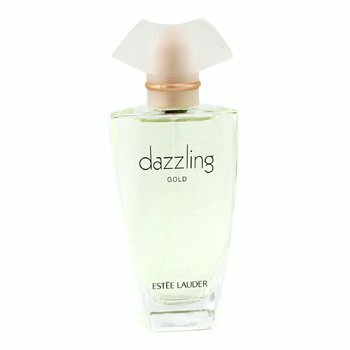 Dazzling Gold By Estee Lauder For Women. 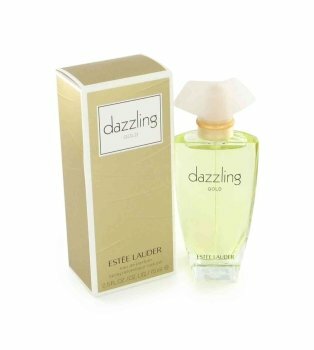 Eau De Parfum Spray 2.5 Oz Unboxed. 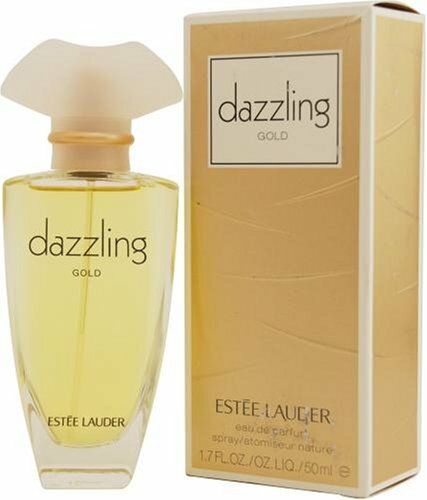 Product Descriptionlaunched by the design house of estee lauder in 1998, dazzling gold by estee lauder is classified as a flowery fragrance. this feminine scent posesses a blend of: orange blossom, orchid, amber, vanilla and sandalwood. it is recommended for daytime wear.